The Waverly proposed construction by award winning Stephen Alexander Homes features 5 bedrooms and 3.5 Baths w/over 3000 sq. ft. and a Stunningly open and livable floor plan. Standard features include Hardwoods on first floor. Chef's Kitchen with Decorative Hood, custom 42" cabinets w/ soft close drawers, Granite counter tops, w/under mount stainless sink, large island, GE stainless Steel appliances and Gas cook top. Walk in Pantry. Bonus/Bedroom on Second Floor. Spa-like Master Bath includes, Huge Tiled Shower with glass enclosure, dual shower heads, and custom built vanities. 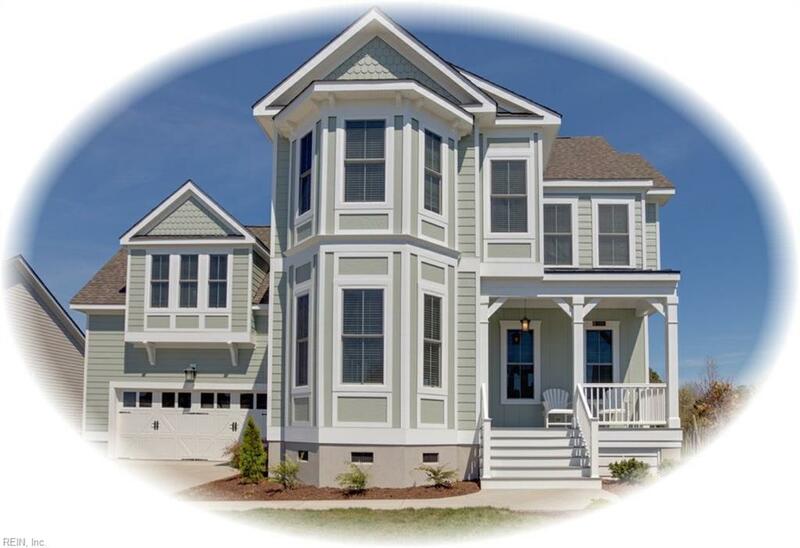 Private LARGE wooded and waterfront home sites available to Build your Dream home with Stephen Alexander Homes at The Point on Fishers Creek which is Centrally located to Shopping, Schools, Military Bases, Hospital, Christopher Newport University, Port Warwick, City Center at Oyster Pointe. Love where you live!